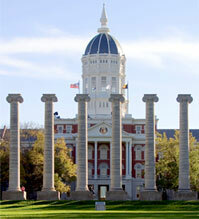 WHAT: The Disability Center at the University of Missouri will host Celebrate Ability Week, Oct. 10-14. The annual week-long commemoration of events is designed to highlight the valuable contributions and diverse skills people with disabilities bring to the MU campus and society. The Chancellor’s Committee on Persons with Disabilities will hold a reception to announce the recipients of the Lee Henson Access Mizzou awards. The awards recognize members of the MU community who have made significant contributions to improve inclusiveness on campus. MU will highlight and announce various initiatives that will create an inclusive and accessible environment for individuals with disabilities. American model, actor and Deaf activist Nyle DiMarco will speak about his efforts to improve the lives of Deaf children around the world. Tickets are free and can be picked up at the MSA/GPC Box Office located in the MU Student Center.